Users of TiVo in America and Canada now have the added choice of watching video-sharing site YouTube straight through their DVRs. The link-up began this week and will allow thousands of subscribers the chance to pipe YouTube content straight from their broadband-enabled DVR on to their television screens. The deal, however, means that users will just be able to watch the movies and not actually store them on their TiVo hard drive. The clips can be bookmarked, though, for quick retrieval. The partnership with YouTube is the first in a series of streaming deals TiVo has set up, with around 60 internet sites ready to supply streamable content. The most famous of these being Amazon Unbox. 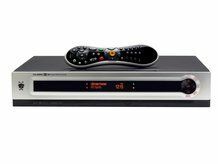 TiVo has 3.8 million subscribers, but only about a fifth of actually have the necessary equipment – a TiVo Series 3 or TiVo HD – for displaying YouTube content.